CRYSTAL DESIGNED ART - Creating Art with a Sparkling Touch! Crystal Portraits and other Crystal Wall Art made from SWAROVSKI ELEMENTS. Each piece of crystal wall art is made using thousands of Swarovski Crystals, which sparkle constantly, bringing the image to life! A true statement piece, Swarovski Crystal portraits make a stunning addition to any home. 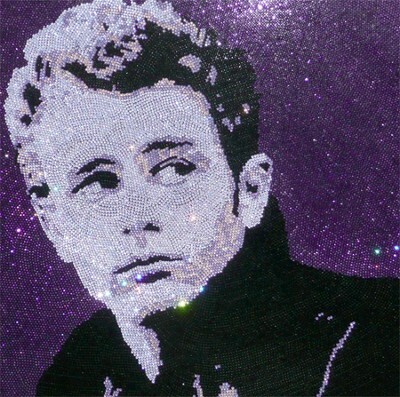 A Swarovski Crystal portrait of James Dean comprising over 20,000 indivdiual SWAROVSKI ELEMENTS crystals all applied by hand.